You can now find us on LinkedIn and Thumbtack. See our Moss Removal Service listing on Thumbtack. Portland Oregon Roof Cleaning Before and After Pictures PDX Clean King does Portland Oregon Roof Cleaning. We do both composite and cedar shake roof cleaning. For more information on our Moss Removal Services, click HERE. 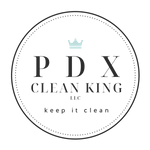 Moss Removal: What Sets PDX Clean King Above the Competition?